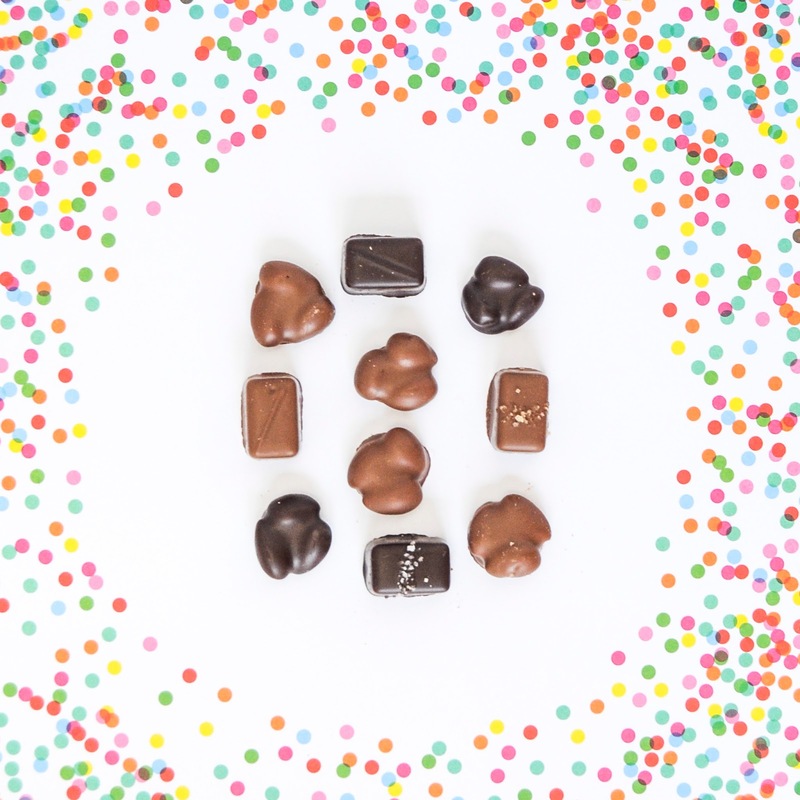 Are you anything like me and love chocolate? Well you are in luck today. 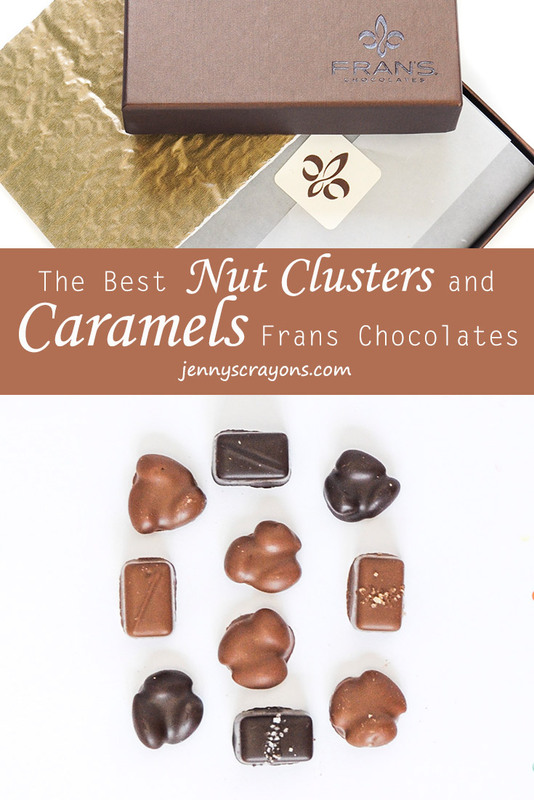 I am going to share my favorite chocolate confectioners in Seattle. My husband and I lived in Seattle when we were first married and dating. While there we found a couple places that had AMAZING chocolates. 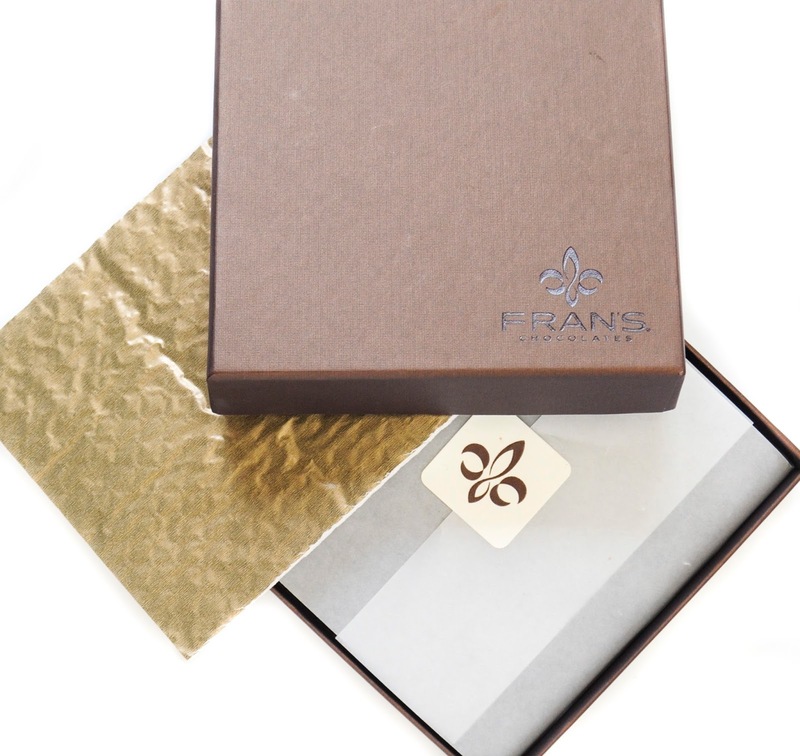 One of our favorite places to get gourmet chocolates is Fran's Chocolate in Bellevue, Washington. We used to go there all the time with our friends when we lived in Seattle. They also have stores in the area: Downtown Seattle, University Village, and Georgetown. Fran Bigelow was inspired to start her business after a visit to Paris. She makes delicious hand crafted chocolates. Her chocolates include caramels that melt in your mouth, truffles, chocolate bars, hot chocolate and fruits & nuts. This year my husband wanted to get me something special for Mother's Day. He had these chocolates and some mint thins shipped to our house. I was super surprised and excited that he remembered this place from our early married years. My absolute favorite place is Seattle for chocolate is Theo Chocolate. It is my favorite chocolate place ever. When I worked at Boeing in Seattle, Washington some of the new Boeing hires scheduled a tour at Theo Chocolate. I had no idea what to expect. They outfitted us with hairnets because we were going to be walking through the factory. Then they took us to a room and started the tour. They are an organic and fair trade company. I had never heard the word fair trade before and once I learned it I respected them so much for it. It means the people growing and harvesting their chocolate in foreign countries are paid fair prices for the chocolate. This helps eliminate slave labor in countries. They showed us pictures of the people and processes that grow their chocolate. Did you know that cocoa grows on trees? A cacao tree. The tree has pods which contain the cocoa bean. The cocoa beans are then removed, fermented, dried and sent to Theo. They get chocolate from all over the world. And each area has it's own distinct flavor. Theo Chocolate Factory tour, look at all those samples! We then went on the tour and saw the processes of how they make chocolate. The rooms were large, but not huge. It was surprisingly very clean too. We could not take pictures inside the factory. Once at the Theo Chocolate factory the beans are checked for defects and mold. They are then clean and destoned, meaning they are clean and then shaken to remove debris. They are then roasted to enhance their flavor. They are then minnowed, or broken into cocoa nibs. I tried some nibs while I was there and they are delicious. They tasted like nuts and are really good for savory dishes. After than the nibs are milled; they are ground up. Heat is produced during this process, the chocolate separates into chocolate liquor and cocoa butter. The chocolate liquor is then milled again to produce even finer particles. Sugar is then added, mixed and the become a powder. The flakes are then conched, meaning they are heated for several hours to a couple days to enhance the flavor or make a uniform mixture. Vanilla and cocoa butter are then added to help the bars become more liquid. The chocolate is then tempered to produce a shiny delicious chocolate. Then the chocolate is made into bars. One of the coolest things I found out while on the tour and what I tell everyone is that Theo does NOT add non cocoa butter emulsifiers back into their chocolate. Why is this important? Cocoa butter is worth a lot of money. Many places will separate the liquor from the chocolate and sell the cocoa butter. They they will put a substitute emulsifier in. Substitute emulsifiers do not taste as good but are a lot cheaper. When a Theo chocolate bar is consumed the cocoa butter is put back in further enhancing the flavor. We then saw the Theo confectioners making the chocolates. They have a lot more confections available at their store probably because things like that do not package and ship well. During the whole tour they kept handing out samples and samples. That was my favorite part. Needless to say my chocolate world has never been the same. I have found places to buy Theo chocolate locally though not all the flavors I want to have. I make sure to buy them every time I can. I especially love the Milk Chocolate Peanut Butter Cups. I can never go back to a Reese's. One time my friend surprised me around my birthday by having a friend ship some to her from Seattle. Since I went they have added more and more chocolate tours. I would highly recommend. They give you so much chocolate and it is so fun. Theo Chocolate's Kids line. I loved all of them. Theo Chocolate's Winter line: Nutcracker Brittle and Peppermint Stick were my favorite. If you make it to Seattle be sure to visit both Theo Chocolate Factory and Fran's Chocolate, you will not regret it!